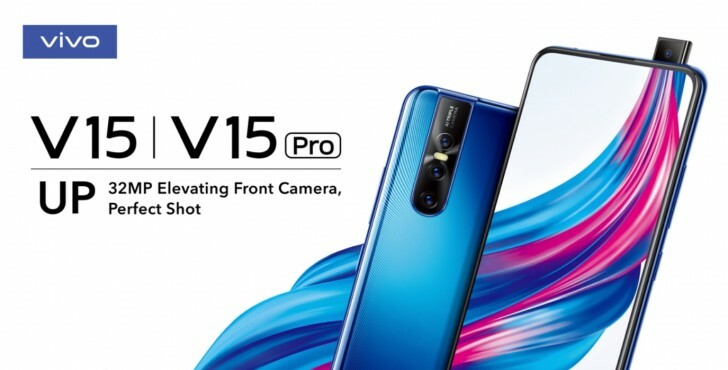 Vivo V15 and V15 pro were all over the internet a few days back due to its pop up selfie camera design. After long rumours, guesses and leaks company has finally confirmed the news by launching a teaser of the upcoming phone on Twitter and Facebook. 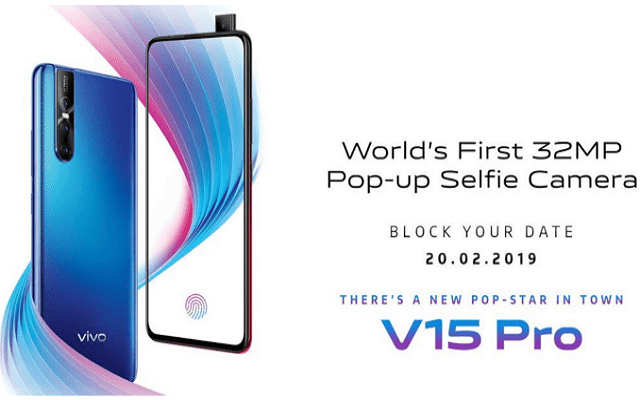 Vivo has shared an official image of Vivo V15, revealing a pop up front camera. The device will have 32 MP shooter in a pop up elevating mechanism. Right now the company has just revealed camera details whereas rest of the information regarding Specifications will be announced on February 20. According to leaks, V15 and V15 Pro will also have three cameras on the back in an elevated strip near the edge of the phone. The LED will be placed between two of the lenses. The above specification reveals that it is a very good featured device with cost-effective price. So let’s wait for the official announcement of features and Price. Vivo is not the only company who is launching a device with a pop-up camera, Oppo had launched the same device before and now Samsung is also in rumours for manufacturing pop up camera phone. Samsung Galaxy A90 to be Firm’s First Phone with a pop-up Selfie Camera.